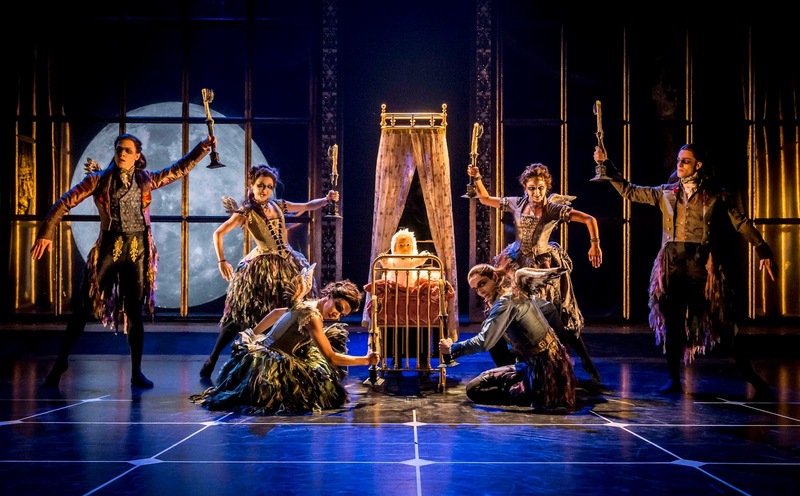 New Adventures’s productions return to the stage, with a tour of Matthew Bourne’s Sleeping Beauty. After the success of Nutcracker! and Swan Lake, director and choreographer, Bourne felt he should “find a way of completing Tchaikovsky’s trilogy of ballet masterworks some day” and he, alongside a strong creative team, have produced a piece of dance-theatre that looks and feels captivating. On the dance scene, Sleeping Beauty has to be one of the most well-known ballets around with its familiar Tchaikovsky melodies and waltzes. It’s a familiar fairytale with a happy ending of good conquering evil but remove the ‘Disney effect’ and you are left with a story that is much more interesting. The choice to begin the story in the Victorian era and journey through the Edwardian period works well as after a hundred years we are met with the current selfie-taking culture of modern society that we can relate to. 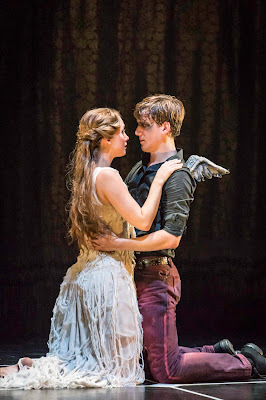 Gothic influences from the set and costumes (particularly the fairies) enhance the darker interpretation of the story and the addition of a new character (Carbosse’s faithful son, Caradoc) creates more compelling battle between good and evil. Some effective puppetry meant that the slow opening of Act One was a bit more appealing but things picked up once the ensemble of fairies entered. The ensemble were really at their best in Act Three during the deep sleep as they glided between trees aglow with fairy lights. Ashley Shaw danced the role of Princess Aurora magnificently tonight. Every inch of her body exhibited perfect technique and she was mesmerising to watch. She took Aurora on a journey and each part was played with just the right fluidity and facial expression. Her performance can be described as almost doll-like during her hundred year sleep. In parallel, the evil Caradoc (Adam Maskell) and King of the Fairies, Count Lilac, were danced strongly and with fitting characteristation and vamp(ire). 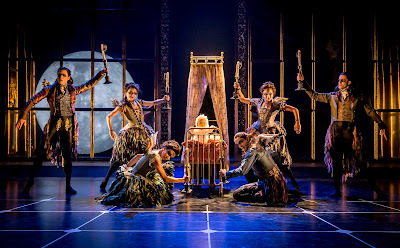 If you are one to usually avoid the ballet, this production may be one to at least try as the design and focus on the darker story make it both visually appealing and emotionally stimulating. It definitely won’t send you to sleep!